How to Photograph...: Tips for Photographing Butterflies - Haba Naija! Butterflies are beautiful, eye-catching creatures, and humans’ love of colour means we naturally want to observe and photograph them. However, they are delicate and sensitive creatures, and human’ large and lumbering nature means they feel intimidated- and fly away! Using a tripod gives you stability, however, because butterflies move quickly, you will miss shots if you lock it, so keep the head loose so you can move the camera. Butterflies require the warmth of sun on their wings to fly. If you find a butterfly on a cool day, take the opportunity to shoot it. In cold weather, butterflies move around a lot less, giving you a chance to obtain graphic close up shots. Butterflies move around a lot, and when they do so, they do it fairly quickly. For this reason, use a fast shutterspeed to freeze any movement, I tend to shoot at at least 1/500, raising the ISO to 400 if necessary. Use a wide aperture so that the butterfly is in focus, but the background blurs. This will ensure there are no major distractions in the image. Try one of at least 100mm. A macro lens may work, however, this usually reuires you to come close to the butterfly, which risks casting a shadow, and scaring them off! Position your camera so that the sensor is parallel to the wings. This means they will be in the plane of complete sharpness. Wait patiently by a flower, dont chase the butterflies, this only causes them to fly away faster! 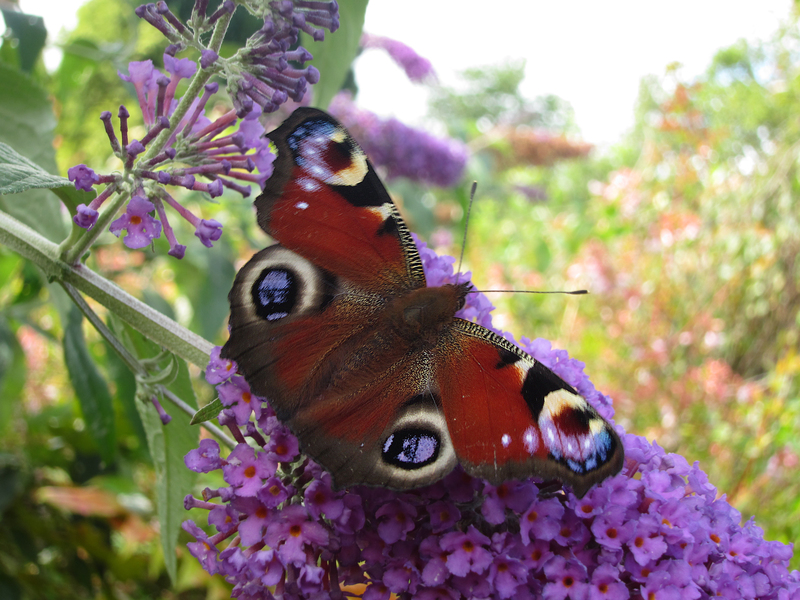 Choose a nectar rich flower type that butterflies love, for example buddleia, lilac etc. Then all you need to do is wait, however, thi must be done patiently, you may find yourself waiting for a good 10, 15 or even 20 minutes! As I have said before, butterflies love and need sun, so if you cast a shadow over them, not only will you ruin your image, you will also chase them away! No-one is perfect, so naturally I have missed something! If you have a tip, post it below! TX Stock Photos Blog Allows Contributions – Get a Free Link!